Sooo... you've got your holiday booked, your passport at the ready, your outfits picked out and your sunglasses on standby. You've crammed just about every possible outfit combination into your suitcase - tops, shorts, dresses, skirts... and your toiletries bag is stuffed full to the brim, leaving little room for anything else. So what staple nail polish do you pack?! 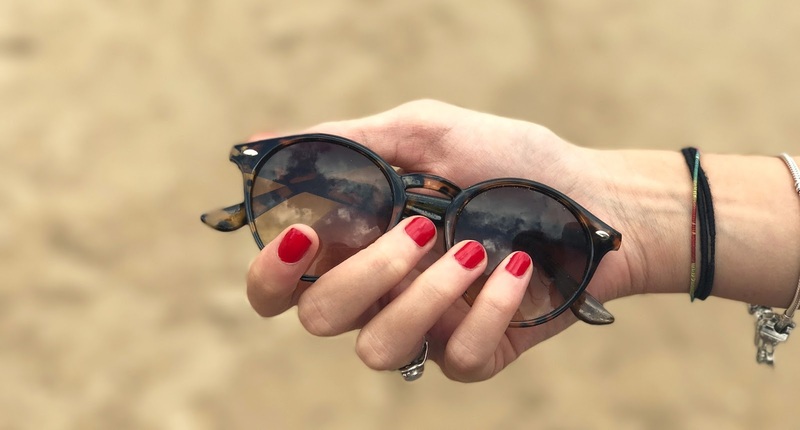 Luckily, Destination2 recently contacted me and asked whether I would be up for joining their latest campaign and sharing my perfect summer nail look - so I've got you covered. Destination2 offer tailor-made luxury holidays over a huge range of destinations; if you haven't got a holiday booked yet, this might be the place to go. Anyone who knows me well will know that I love to stick to my darker colours when it comes to fashion - but summer nails? I like a bright pop of red - something that will liven up any outfit. My chosen nail polish that you should definitely stuff in that toiletries bag to go away with you is the Nails Inc Tate '6 Free' NailPure Nail Polish. This post is a collaborative post with Destination2. The colour red, I feel, is pretty versatile in summer - you can dress up simple little black dresses with it or match it with red heels, red earrings or an outfit with a pop of red. It goes with denim, it makes a subtle yet bold statement, it enhances your tan and it even looks good with pink (see the above picture!). This particular polish itself is glossy, rich and fast-drying - pretty much everything you want in a nail polish and the main reasons that this is my go-to during summer. The colour is long lasting, meaning minimum top ups during your time in the sun. The Tate NailPure polish is also really good for your nails. It is alcohol free (allowing your nails to breathe) and contains a 'regenerating complex' that enhances production of keratin, resulting in healthier, stronger and harder nails - so you can relax in the sun knowing that your nails are in good care. So what are you waiting for?! Pop this little beauty in your hand luggage ASAP. For more nail inspiration, visit a very old blog post: DIY Newspaper Nails! 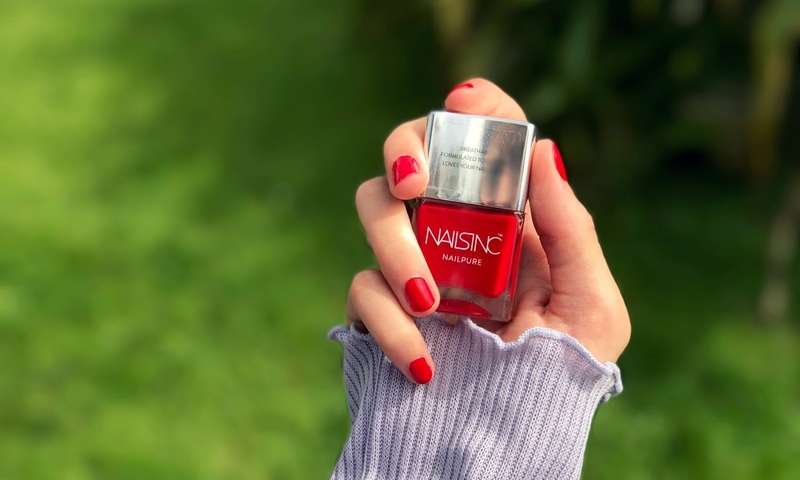 Nails Inc really do some gorgeous polishes, that red is absolutely beautiful as well, it looks great on you. It is times like this i wish i didn't bite my nails. The colour is gorgeous! Gorgeous! I love bright colours for summer, especially bright red! They always look lovely! My OH would absolutely adore that shade! Gonna have to recommend this to her. LOVE that colour. Perfect for a summer trip away - looks great on you! That's such a lovely vibrant red. I wish I didn't make such a mess of my nails all the time.